When I worked at NUS on of my favourite lunch time activities was to eat at the Student Food Court on Lower Kent Ridge Road which was just across from the the then NUS Alumni office. Walking in the other direction proved to be an equally enjoyable activity as it took me past the main administration block,en-route to the rather quirky Raffles Museum of Biodiversity Research, originally established in 1849 and relaunched in 1998. I wrote about this museum in an earlier article but in the intervening couple of years it has changed beyond all recognition. The Raffles Museum of Biodiversity Research will soon morph into something quite spectacular and bear little resemblance to what it was previously, apart from retaining some wonderful natural history collections. In two years time there will be a new Lee Kong Chian Natural History Museum built at a cost of some S$46 million. 800,000 Southeast Asian specimens will be housed there and three giant dinosaurs fossils. The latter should certainly pull in the punters. The new museum will be adjacent University Cultural Centre and NUS Museum. 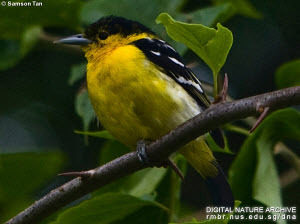 For those of use with an interest in the flora and fauna of Singapore and its tropical neighbours the wait will be considerably shorter as the RMBR has launched the The Digital Nature Archive of Singapore. This is a truly wonderful resource made available to serious researchers and the browsing public alike. 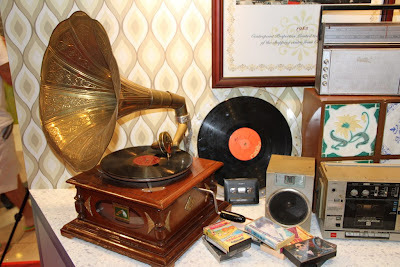 A site visitor is able to browse through a variety of multimedia and reference source materials: slides and print images, digital images, historical photographs from retired university professors, natural historians, experienced photographers, old local books, etc. video clips and sound clips. The database makes good use of online technology including YouTube to host its videos. Here is an example; a caged Oriental Magpie Robin singing. First natural history museum in Singapore unveiled! I never tire of visiting the Singapore Museums when I visit there, or during the time that I lived in the country. As this video from the National Heritage Board shows, they are both numerous and diverse. Today the Museum is staging an outreach exhibition in Jurong; a a collage-based art workshop with the NHB also supporting Our Museum @ Taman Jurong with a curator’s talk and a display on the project. Another favourite for history buffs is the YesterdaySG History Channel, which I regularly consult on YouTube and from which the above video is taken. I note that my old haunt' Centrepoint is getting into Singapore HeritageFest 2012 'groove' by staging performances and displays. A 'Rocking Good Times' stage has replaced the usual jewelry and domestic appliance promotions on the ground floor which should make for fun viewing from the upper levels surrounding the atrium. The full programme of HeritageFest events can be downloaded as a PDF here. My only regret is that I am too far away to enjoy all that is on offer this year. It makes a pleasant change from the incessant media coverage of the London Olympics. While new citizens may be of the same race as a Singaporean who was born here, PM Lee pointed out that they have different habits and attitudes. He emphasised the need to maintain harmony between new and old citizens on Racial Harmony Day. Do I Smell A Plastic Rat? 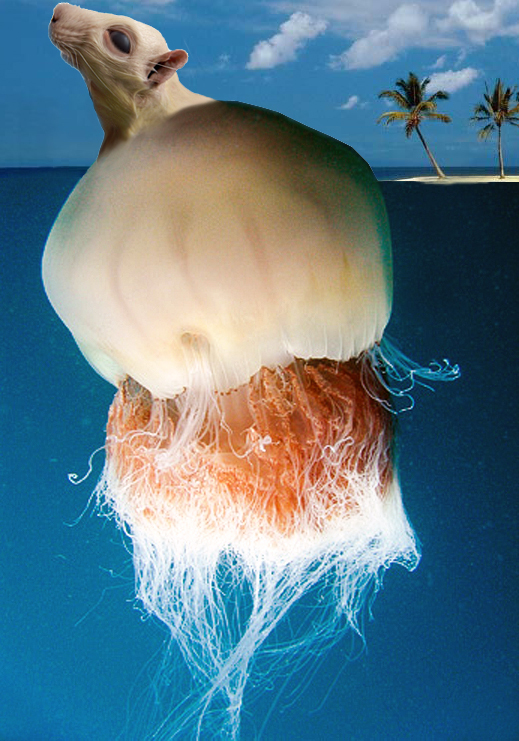 I am not quite sure how I should react to the news that Caltech and Harvard University scientists in the US have bioengineered a "jellyfish" that can swim. The 'creature' is made up of silicone polymers and rat heart cells. That's a plastic ratus ratus to you and me. But unlike the often maligned Gunther Von Hagens variety, these plasticised animals actually have a life, but to paraphrase Star Trek, "Not as we know it". The Medusoid, for that is its name, is designed to be a biological pump and to assist with heart surgery. The process according to my local newspaper, was to use a sheet of cultured rat heart muscle which contracts when electrically stimulated in a liquid environment. It is the perfect raw material to create the jellyfish according to the researchers..
A silicone polymer was then used to fashion the sheet into a thin membrane that resembles a small jellyfish, with eight arm-like appendages. Kevin Kit Parker who was the project's bio-engineer has quipped that "The world needs less rats and more jellyfish, so I thought it would be cool to do a one-for-one swap". Now he has his sights set on a different and larger animal to mimic using these processes - perhaps a politician with a plastic brain or a banker with a plastic heart? Come to think of it, my banker already has one. For the last couple of weeks global media seems to have been solely focused on the Olympics, their security or lack thereof and the looming Heathrow strike. This is never more so than in New Zealand where we have seen images and video of past glories, departing athletes and even the departing media themselves! Singapore has pinned its hopes on the likes of weightlifter Helena Wong, the first woman to compete for the country in this Olympic event. No doubt the table tennis team will be strong again but the real surprise might be a 17-year-old swimmer Joseph Schooling who was named Sportsman of the Year in May. However it was another media report that captured my interest this week. My Muslim friends in Asia and elsewhere are celebrating the most important religious festival of their year - Ramadan. During this time strict fasting is observed during the day and I recall many of my Singaporean colleagues would practice this observance. Unfortunately Olympics 2012 coincides with the ninth month of the lunar Islamic calendar this year, which as as the BBC reported, places athletes from Islamic countries at a serious disadvantage. Fewer carbohydrates in means less energy out. Not to mention the early morning / pre-dawn ritual and going without drink in the heat of a London summer. Mind you in the latter case there hasn't been much of a summer; in the great British tradition there has been plenty of moisture and little sun. Hopefully the next event in Rio will not clash with a major religious observance of any faith or creed. Some of the best and most affordable lunches in Singapore can be found in the most surprising places. One of the cafes that I frequented was at the British Council in Napier Road. It was convenient as I worked for the Council. Called 6 Stone Jars it is run by the ebullient Peter Tan, a foodie and passionate golfer (when time allows). 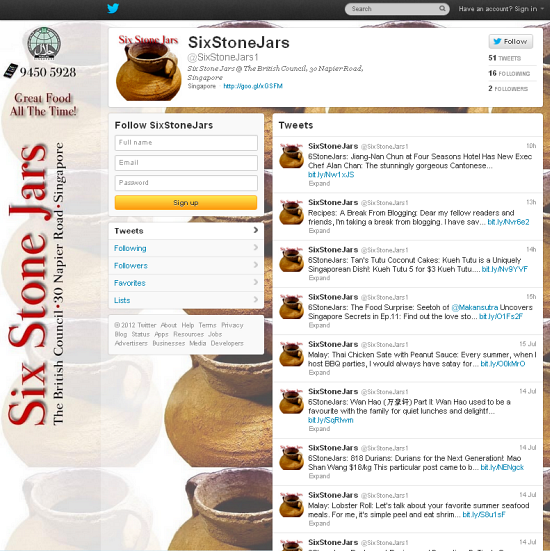 Peter now has a twitter account which promotes South East Asian cuisine - SixStoneJars1. His cooking and that of his staff is very good indeed and the fare always varies; from European style to a scrumptious Indonesian style beef rendang. Well worth a visit if you are in that part of Singapore around lunch time but a tip, get there early before the hungry students! The thrushes get bolder mid winter. Five them pointing to all points of the compass stood stock still as I passed and then resumed their desperate search for grubs amongst the leaf litter. In the plentiful bounty of summer or spring they would have immediately taken flight, but not so mid-July. The walking tracks in my neighbourhood are muddy with sections forever shaded from a weak sun that is low in the horizon. 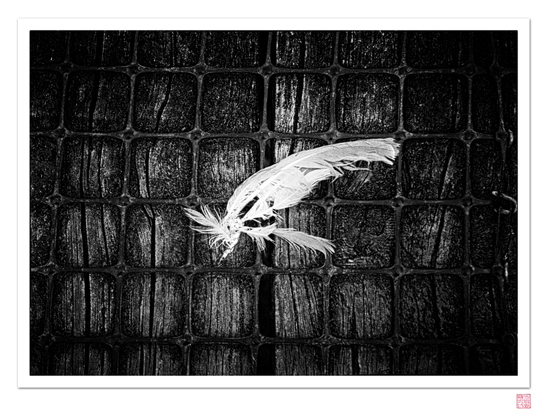 It's been a cold winter with temperatures dropping to zero degrees and a solid frost glistening white on the roof tiles. It's a season of slumber and decay. 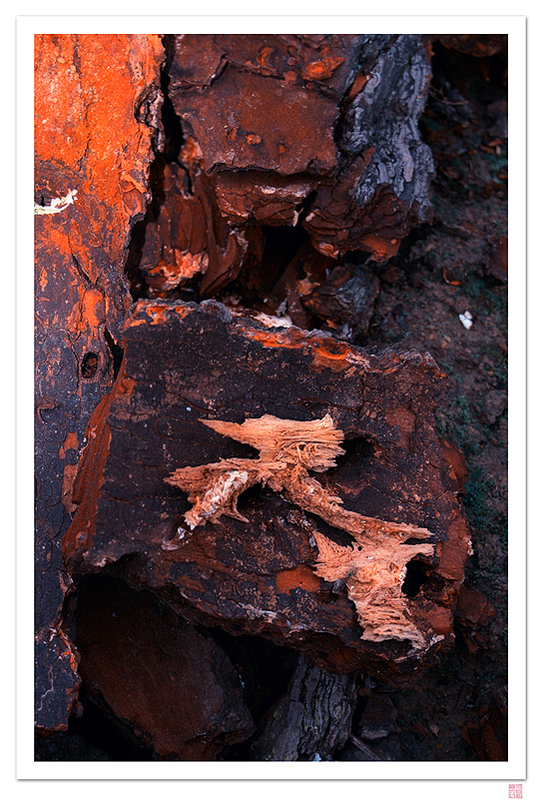 Old wood is cast aside and the bored holes make by huhu bugs are exposed. There is evidence of foraging animals and the pavements adopt a mossy green camouflage. Amidst all of the dank grey-green and gloom there are some bright spots. 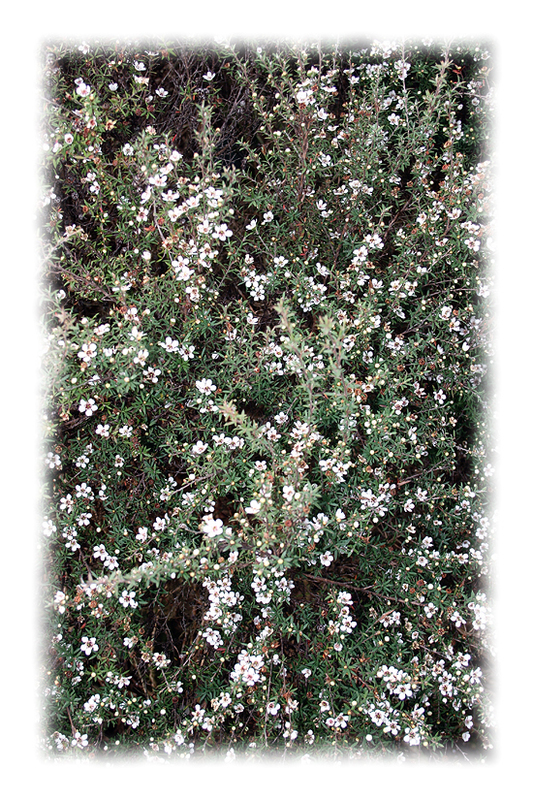 One species of manuka is resplendent with its canopy of white flowers and a fantail flits amongst the branches, accompanying me part of the way. 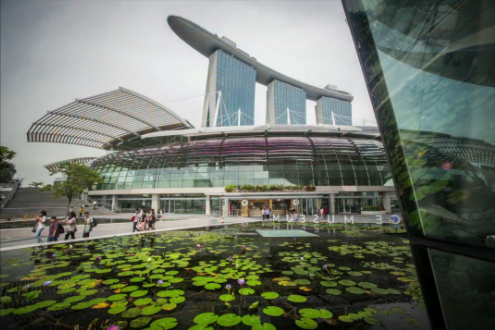 This video has just been published by the Financial Times and outlines how life is for Expatriates living in Singapore. As mentioned in an earlier posting, this was not the lifestyle I chose to lead while living there but many did, and seemed quite happy doing so. The old Black and White colonial houses along places such as Tanglin Road really are a throw-back to the faded days of the 'Raj', but it is good to see that many are still in existence. I was pleased to see that Singapore had won the award for being the best prepared city for the future, for the second year running. Pound for pound it leaves other cities dead when it comes to infrastructural planning and development. OK, maybe the maintenance of some of this infrastructure still leaves a little to be desired from time to time (for this read the recent MRT problems) but in the main the country can rightly boast to be at the forefront when it comes to future-proofing. It also scores well for economic potential and business friendliness but it has to be of concern that it has slipped down the rankings in human resources and quality of life. The PM has signaled more investment in "new housing estates and upgrading old ones, improving public transport with more train lines and buses, and introducing more green spaces in the city." But is will be the human cost that will keep the government occupied in the years ahead as they try to maintain a balance between building a society that is even more compassionate and encouraging greater immigration from skilled and foreign workers. Gardens By The Bay is an eco-initiative that impresses me greatly. It was just commencing its ground works when we left Singapore and now it has been officiallly opened with reportedly 70,000 people visiting the complex in the first two days of its opening. Spanning 101 hectares, it is part of the Singapore's 'City in a Garden’ vision, cost over $1billion Singapore dollars and houses more than 250,000 rare plants. Today marks the second anniversary of our departure from Singapore, returning to New Zealand on the evening SIA flight. It's a date that fills me with some sadness as I felt blessed to have been able to work in a country I had for so long admired. Better still to be able to live and work under a local contract conditions and be domiciled in Queenstown away from the Expat hot spots. 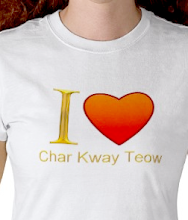 There are some , and I am not one of them, who regard Singaporeans as being somewhat distant and remote. I never found it so, having made some good friendships with colleagues that I still maintain. As with any culture and country if you are prepared to make the effort to assimilate and learn the local customs then your experience will be the richer for it. Use a country as a temporary halt and only mix with your own expatriate community and you will selling yourself short. If that's your approach then you will also miss out on the real friendships that can be forged. It is the same all over the world and I observed similar traits and reactions when I worked in Papua New Guinea in the late 1970's/ early '80's. There's a 'buzz' about Asia and Singapore in particular that I really enjoy; it's vibrant, everyone is focused on making their lives better because you can't expect the government to mollycoddle you if you are not prepared to get stuck in yourself. And then there are the tropics themselves - the luxuriant foliage, the warm and torrential rains that announce themselves with deafening thunder, the bugs, birds and flowers that are larger and more colourful than those found in temperate climes. The diversity of cultures in a country like Singapore is a delight and in the main harmonious. 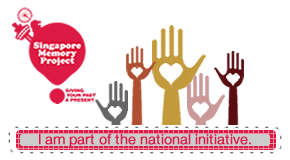 I worked with Singapore nationals and PR's of different ethnicities and from many countries; a rich mix that makes life in the Little Red Dot even more interesting and rewarding. We can all learn so much from the customs of others. My admiration for the founding fathers of Singapore, the relative safety of the streets and of course the richness of Asian cuisine were all reasons that first attracted me to Singapore on my first visit there in the early 1980's, and remain with me still. So on this day I remember with great fondness being called "Uncle Roger" by those whose friendship I value in Singapura. I count myself very lucky to have lived and worked there and my heart remains in the Heartland with my soul (as I wrote in an earlier poem) in places such as Fort Canning. Any Time Is Makan Time! Seems the ideal "going away present" to me? 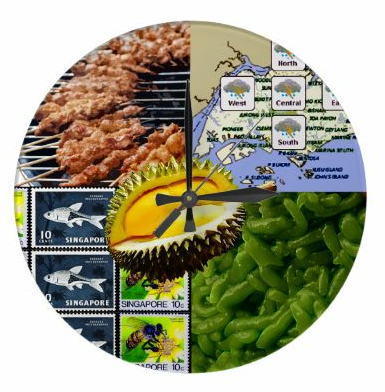 A montage of Singapore icons (and yes the ubiquitous weather map is included!). Available here.